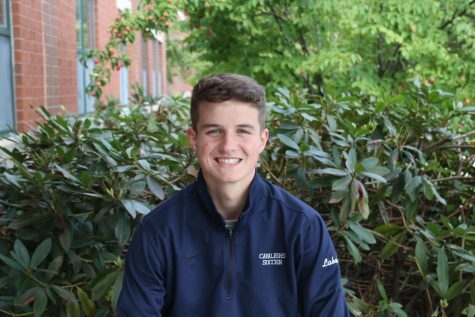 Mark Labak ‘19 is a senior at Hollis-Brookline High School, and Editor in Chief for CavChron. He plays on the varsity soccer and lacrosse teams, and spends his time in the winter outside of school with flag football. Friends could tell you he is an avid sports fan, and dedicates almost all of his time during the NFL season to fantasy football. Mark is a diehard Boston sports fan, usually attending a few Celtics or Patriots games a year. He enjoys spending his free time coaching younger kids in soccer and flag football, and always loves a good pickup basketball game with his friends. Mark hopes to make an impact at CavChron with his knowledge of sports and passion for journalism. In the future, he looks to go to school in the Midwest to study some form of sports communications.